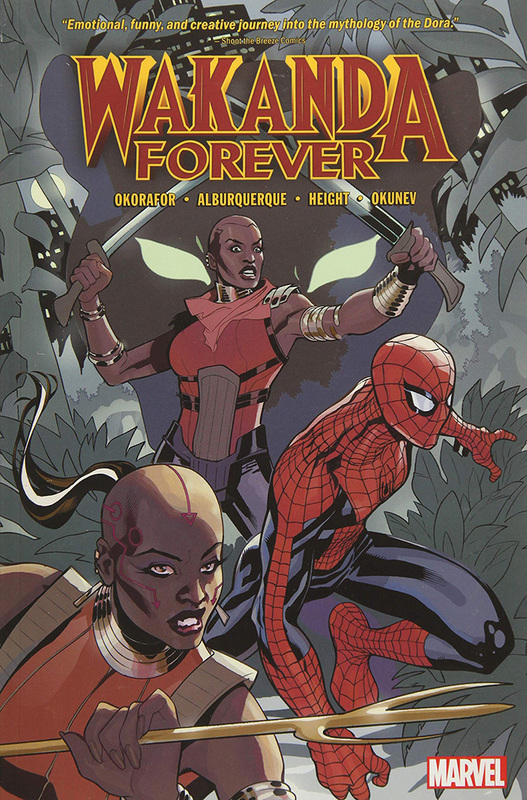 BRAND-NEW STORIES STARRING THE DORA MILAJE! Marvel Studios' blockbuster film Black Panther has everyone talking about Wakanda's best warriors, the fierce Dora Milaje. Now witness the Dora outside of Wakanda - and in Spider-Man's world! When the Dora catch wind of a threat brewing outside their borders, they'll leap into action - with or without their king. Don't miss Okoye, Ayo and others in their solo mission to protect the realm at any cost.